Click for details YAMAHA RD400 Carb Rebuild Kit's, All Yrs. 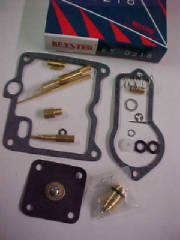 Keyster carb rebuild kit's for Yamaha TX500, all years. 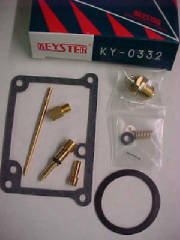 Keyster carb rebuild kit's for Yamaha TX650, all years. 2 Keyster carb rebuild kit's for Yamaha XS2 twins. 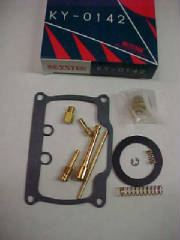 1 Keyster carb rebuild kit for Yamaha XT225 1KH Serow Single and TT225, 1986-87. IT ONLY FITS THE 1KH MODELS XT225. Click for details YAMAHA XV1100 Napco Carb Rebuild Kit, SURPLUS SALE! 1 carb rebuild kit for Yamaha YTZ250N, 1985. Also fit's TZ250N.